Extravaganza of beauty, grace, glamour and fashion as never been seen before! 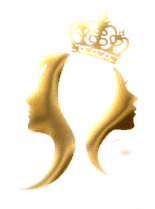 Asian Beauty pageant UK is one of the largest, fairest & most influential beauty pageants in the UK. Since its inception, our team has been dedicated to promoting Asian cultural heritage, international cultural Awareness & community pride. The event will provide the platform where outstanding, Young individuals male & female will have the opportunity to display their artistic skills, intelligence, confidence, cultural pride & leadership in order to further advance themselves in Society as well as raising the profile and working alongside the named charity Empowering Communities. The event will also help in Community development, cultural exchange between the United Kingdom & Asian countries.